If you have been following my Hat Luncheon Countdown posts for the past few weeks then you know that milliner Tracy Young is making me a hat for the upcoming Hat Luncheon. Tracy trained to become a milliner at the Fashion Institute of Technology (FIT) and she then started Millinery Treasures. I've known Tracy for about seven years and she has beautiful taste in clothes and accessories, so I personally recommend her if you are in need of a hat. 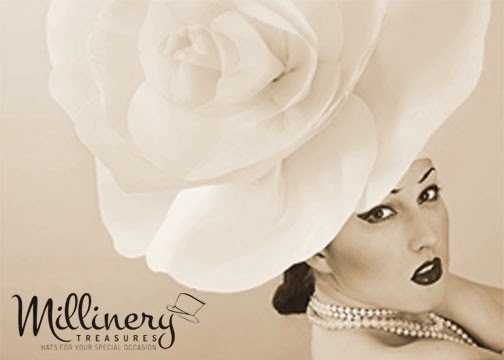 With Easter, Passover, Mother's Day, graduations, weddings and ladies' luncheons on the horizon, Spring is definitely hat season, so check out the Millinery Treasure's ad to the right of this post in the advertising section.